The Belgian government has reached an agreement to back the free trade deal between the European Union and Canada. The move comes on the day the agreement was supposed to be officially signed with Canadian Prime Minister Justin Trudeau. Belgian Prime Minister Charles Michel was able to announce the agreement following days of negotiations with the region of Wallonia. The region has veto power in Belgium and the broader EU needs unanimity among its 28 member states. Mr Trudeau has been due to travel to Brussels on Thursday to sign the deal, but those plans were effectively scrapped as the negotiations with Wallonia dragged on. "This is good news," said Mr Michel, adding that the new text of the deal provides guarantees for farmers and on a corporate dispute settlement system that "will allow us to sign the deal". EU President Donald Tusk said he would contact Mr Trudeau "only once all procedures are finalised for EU signing CETA", as the trade deal is called. Alex Lawrence, the spokesman for Canada's trade minister, said hours before that the country was prepared to sign the deal whenever Europe is ready. Mr Trudeau earlier told Parliament he is prepared to wait longer. "We are confident that in the coming days we will see a positive outcome for this historic deal," Mr Trudeau told Parliament. 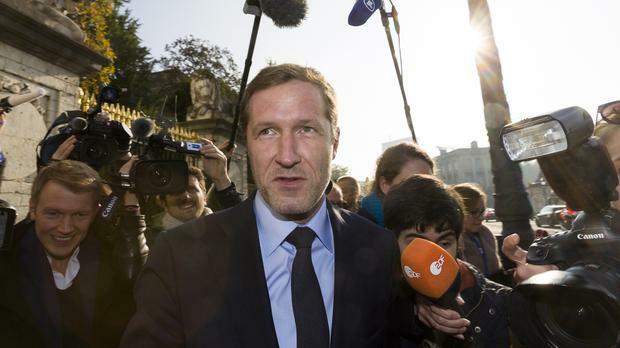 Politicians in Wallonia, which has a population of 3.6 million compared with over 500 million for the whole EU, argue that the proposed accord would undermine labour, environment and consumer standards. Proponents say it would yield billions in added trade through customs and tariff cuts and other measures to lower barriers to commerce. At the same time, the EU says it will keep in place the region's strong safeguards on social, environmental and labour issues.